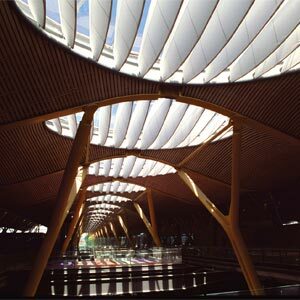 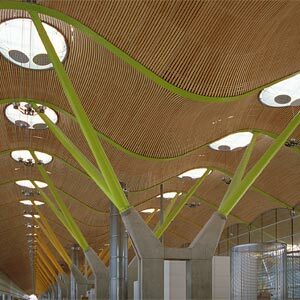 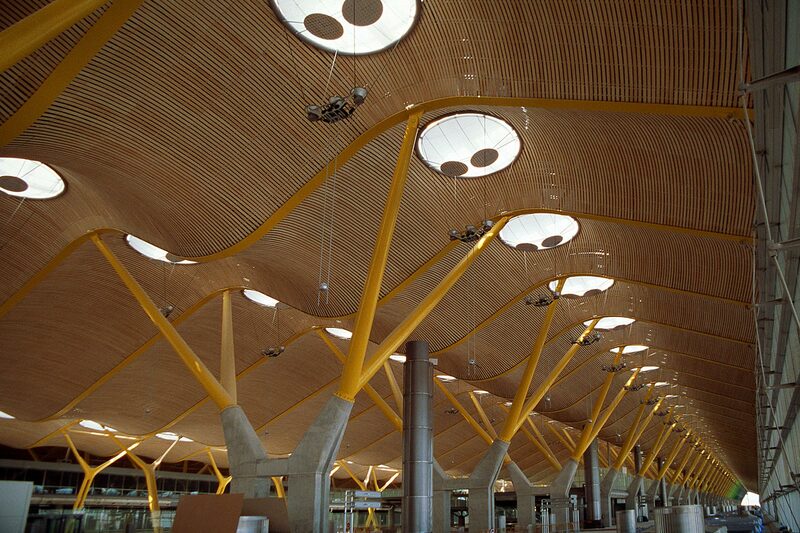 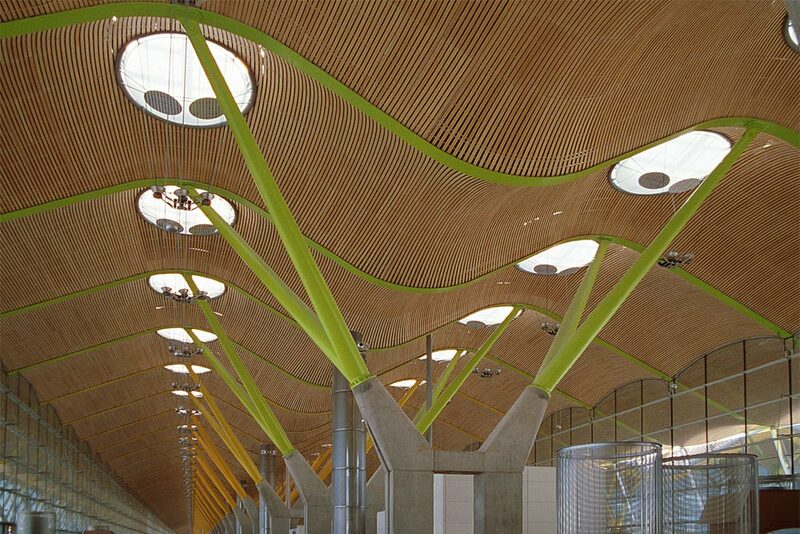 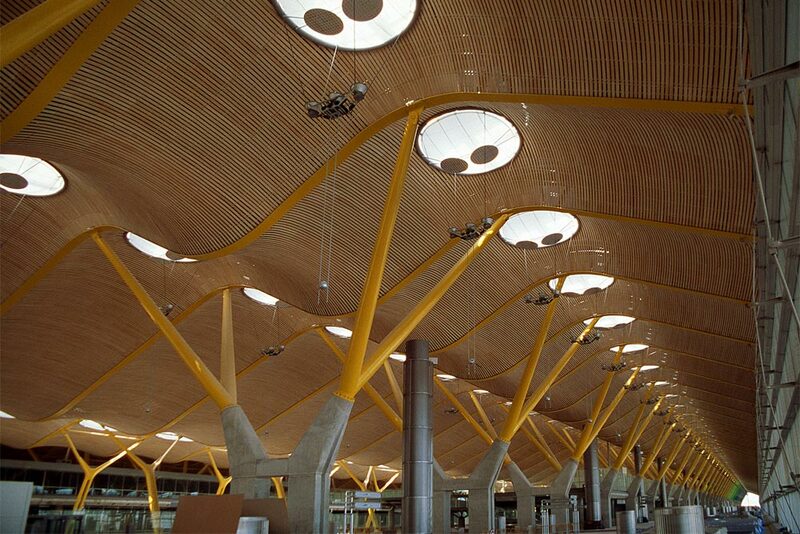 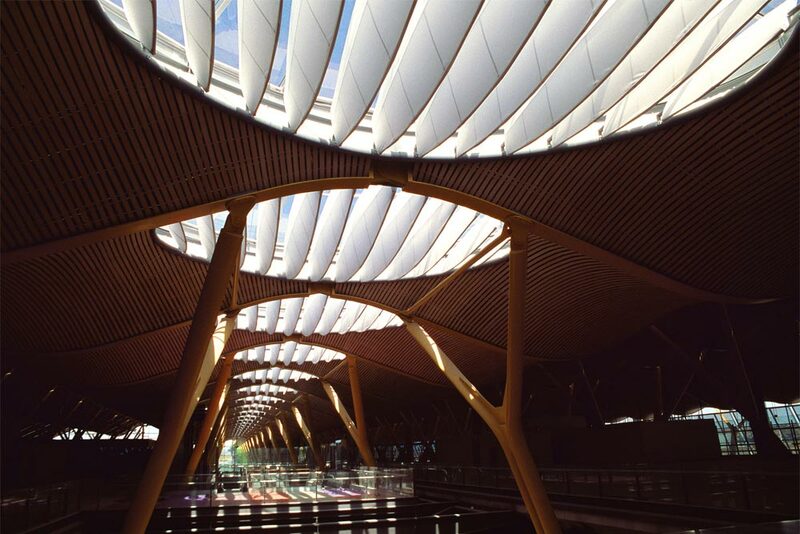 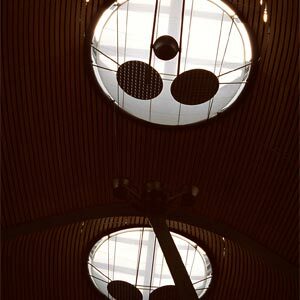 The new T4 terminal of Adolfo Suárez Madrid-Barajas Airport consists of two buildings, the terminal and its satellite building. 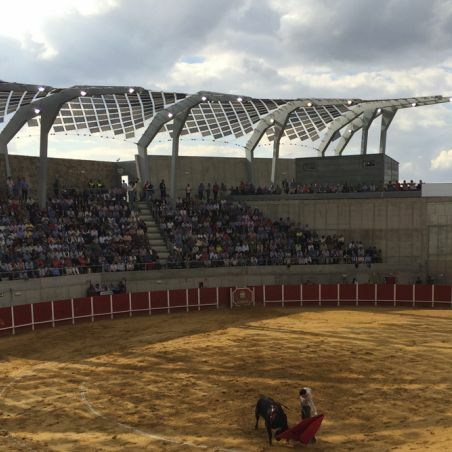 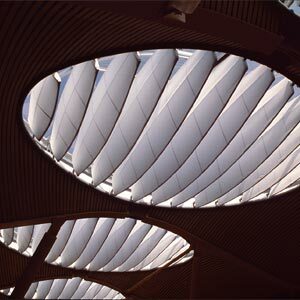 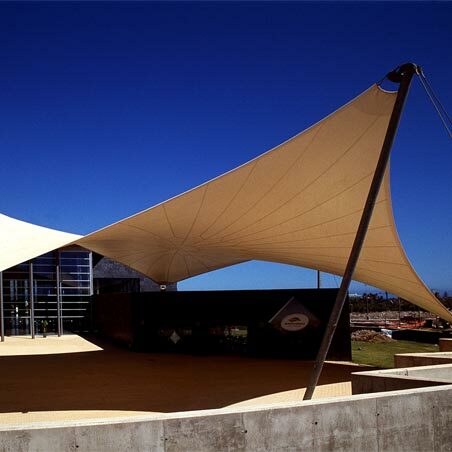 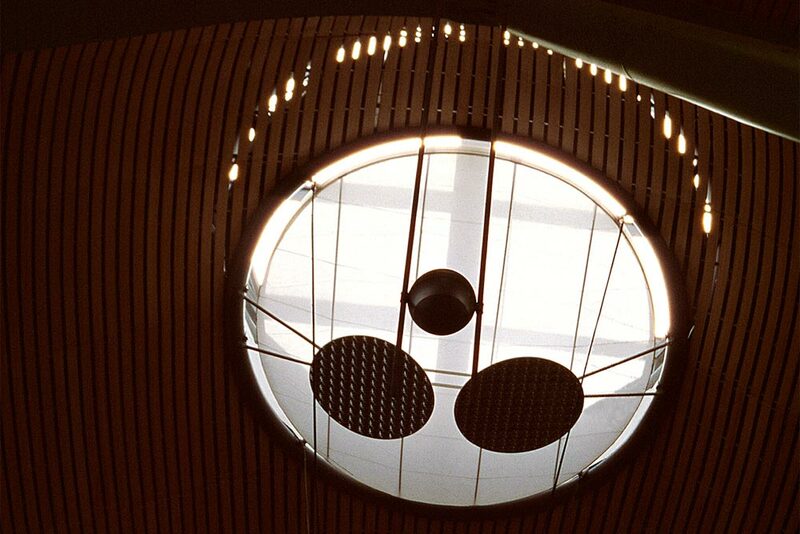 The type of construction is analogous, and there are circular and oval skylights on its coverings. 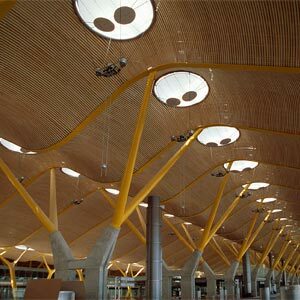 Under the glass, light diffusers were designed to sift natural light and improve the internal atmosphere. 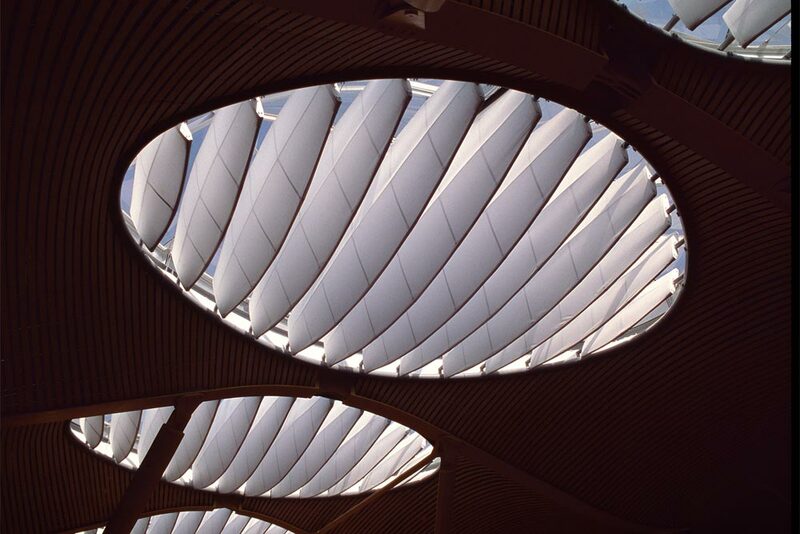 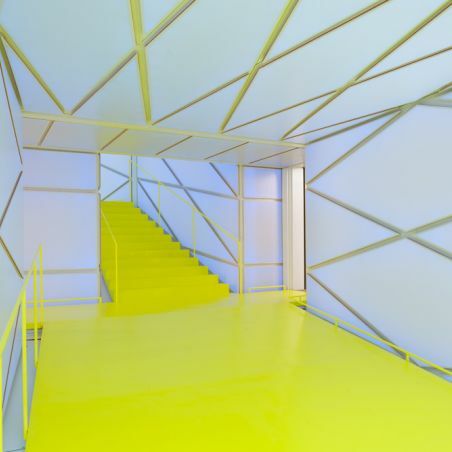 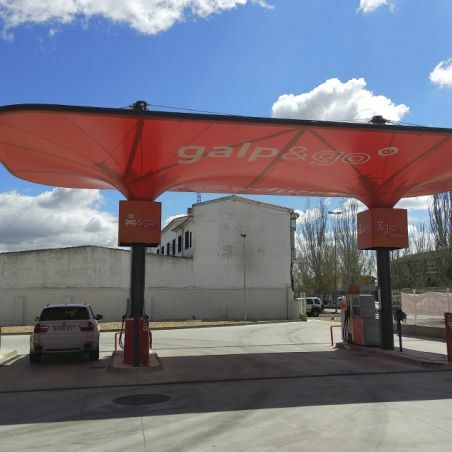 For this, it was necessary to use fluorinated fabric and films that were fire resistant and allowed for a high passage of light.